Kitty Northville had been subpoenaed to attend upcoming Senate hearings regarding paranormal beings. After Kitty consults with her lawyer, she reluctantly agrees to go to Washington. As a rogue wolf without a pack and no territorial home, her brief stay in D.C. may even be a kind of vacation. 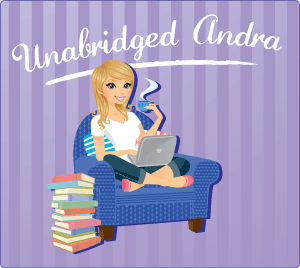 But Kitty begins to realize that the Senate hearings are only the tip of the iceberg of the complex and highly volatile subject of supernatural beings. Are they human? Do they have the same rights as everyone else? Or are they a disease that should be eradicated? While pondering these issues, Kitty becomes a prime target in a dangerous political game that includes a witch-hunting senator, an unethical doctor, and a reporter who will do anything to get an exclusive interview. Kitty's second novel takes us to the nations capital as the world struggles to prove or disprove the existence of supernatural creatures once and for all. The campaign is lead by the notoriously Christian Senator Duke who wants to eradicate the supernaturals, and a scientist who just wants the credit of discovering and studying the supernatural races. So of course this trial is pretty intense. It could determine the fate of all supernatural beings in the world...and Kitty is a key witness. This book was pretty awesome plot-wise. There was the whole trial aspect adding tension and mystery because of all the key players. Insane religious-conservative senator, mad-scientist, insane-religious cult leader...pretty much everyone involved is crazy in some way. Then there was the vampire/were-animal politic webs going on, as well as a kidnapping attempt, and Kitty has to do her radio show during all of this. So many great plot features! With so much going on, there was a lot less development and featuring of Kitty's show. I totally loved all of the ridiculous calls, and snarky comments that Kitty gave to those callers. They were still there, but there was a whole lot less of them. It was okay though, because the action, mystery, and romance more than made up for the lack of radio-show awesomeness. There was actually a lot of real life issues like racism, prejudice, sexism, and religion that were dealt with in this book which really gave it some depth. There was also some refrences to Nazi Germany that really creeped me out. There was a lab room at the Center for the Study of Paranatural Biology that was straight up terrifying because of the pain and torture it implies. We actually get to see the room's use firsthand later in the book, but it involves quite a bit of spoiler-dom so I won't get into it...you just need to read it because it is pretty freaking awesome. That being said, though the plot was cool and interesting, the characterization left something to be desired. The characters in this book were a little bit difficult to form attachments with. You are already attached to Kitty, at least a little bit, but all the new characters was a little disconcerting. We met Alette the master vampire, Luis the were-jaguar, Ahmed the were-wolf, not to mention dozens of human servants, weres, journalists...and you never really form attachments with any of them. It's like all of the characters have the basics down like names, quirks, mannerisms...but they remain flat...just a sketch, instead of coming to life. You want to like them, or even hate them...but there's nothing there...no meat...no substance to draw you in an make you feel anything at all. The only constant characters so far in this series are Kitty, Cormac, and Ben the lawyer. Because you've seen them before, and they have a little more prominence, you are able to actually bond with them a little bit, but it still isn't as much as I would like...I'm not even sure what it is exactly that leaves me feeling so detached. I think it's because we don't get a lot of emotions behind any actions that characters make. We are told that the characters feel a certain way, rather than get show through action and personality how they feel. Hopefully this can change as the series goes on. I really enjoy a lot of the plot, but in order for me to fully enjoy a book, I have to have mad love for the characters. Okay, so as odd as it sounds, I am a stickler for realistic situations and reactions in my paranormal fiction. We're already being asked to suspend our beliefs to the point of accepting the existence of supernatural creatures. In order to make these unbelievable things more realistic, it is good to have as much fact and realism in what actually is real so that we can better accept what isn't. Am I making any sense? Hopefully I'm not just rambling. In the case of Kitty's books, I am talking about America's reaction to discovering supernaturals. Of course there are people who think that the werewolves and vampires are just crazy people and fakes, but the majority of the country seems to accept their existence without batting an eye. That just wouldn't happen. If you've read my blog for any amount of time, you know that I have seen this problem in other books. The problem is that by making a situation less realistic, it's harder to believe anything else about the book.Seriously... Any normal person would not just be okay if all of the sudden, monsters that everyone knew were make-believe started walking up and down the streets. There would be panic, riots...something. It would be complicated, and messy, and probably violent...because hey, that's how humans are. I would have enjoyed this book a lot more if there had been a more realistic reaction for a lot of the situations. It wasn't bad, it was just a tad unbelievable. 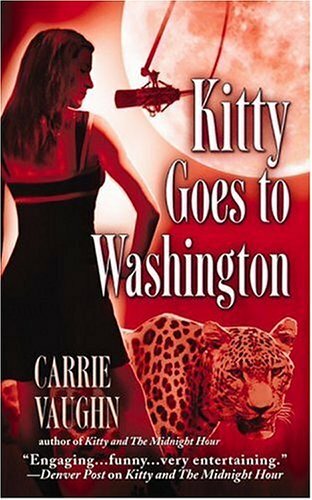 Overall, Kitty Goes to Washington wasn't bad...though it did kind of suffered the "sophomore book blah". Sometimes the second book in a series doesn't really know where it's going or lacks a certain power that the first on did. I did kind of feel that in this book, but there was still a lot going for it. It lead us down a path for the future so that I'm hoping the next in the series can grow from there. I think I will give this book 3 out of 5 Keys. You should check out this series if you are a fan of paranormals. I personally would go for the library rather than buying it though. Hmm... I think I'm taking your advice and borrowing this one from the library- especially since I missed out on my opportunity to get it dirt-cheap at a recent book sale. The main attraction this series holds for me is it's interesting cast of characters. However, I must admit that I also prefer the reactions of citizens to be more real and not characterised by a passive acceptance as if they'd known all along that supernaturals lived among them. I completely agree with you on the fact that if supers came out we would more than bat an eye. There will always be people that accept things easier but no major thing happens without some kind of feak session by someone. I thank you for the honest review and would still like to read this book but it wont be on a purchase first basis.  Lately, too many urban fantasy books show an overabundance of flat characters. Too bad for people who love this genre, like me.